Wonderful Family Home with tons of character. If you are looking for a home with large bedrooms, look no further. Three of the four bedrooms are ginormous and the smaller is a nice normal size. You are greeted with a quaint foyer and entry hall just begging to be an art gallery. The living room is large, light and freshly carpeted. 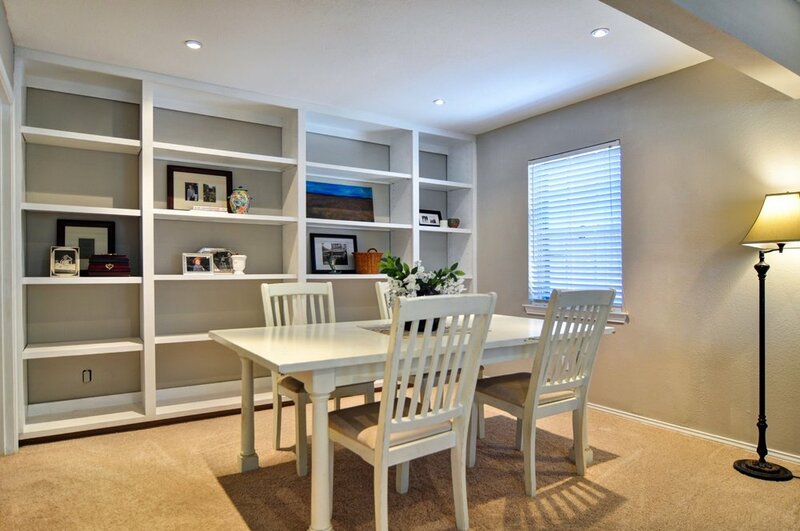 Enjoy entertaining in a large open dining room with a wall of built in shelving waiting for your nick knacks and photos. The kitchen has been updated with cement counters, stainless steel appliances, gas stove, and a farm sink with plenty of solid wood cabinets. In addition, there is a large walk in pantry and utility room with extra storage. The large Den boasts of a wood burning fire place and French doors leading to a quaint patio. The master bedroom features a changing area with closets galore. The master bath was updated with a dual sink vanity, floor and shower tile and glass shower door. The large back yard hosts a great shed with windows, an electric driveway gate and room for an RV on the side.